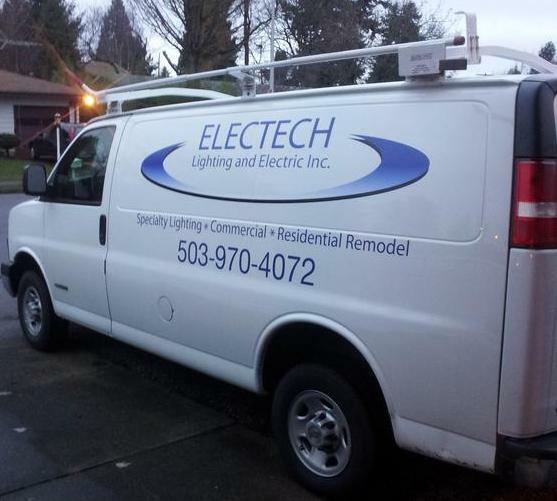 Electech Lighting & Electric, Inc.
Electech Lighting and Electric Inc. is a full service electrical contractor. We pride ourselves on providing quality service and installations for all of your electrical needs. We specialize in residential remodeling projects, specialty lighting design and installation as well as commercial and tenant improvement projects. Electech Lighting & Electric, Inc. was started in 2006, with the goal of providing an outstanding level of professional and friendly customer service, with quality workmanship, for all of our customers..
& Electric, Inc. be your first choice for all of your electrical projects. Call: 503-841-6410 to schedule a free estimate!